These sturdy moulded plaque holders measure 295mm in height and hold an 1.5mm thick engraved 119 x 68mm. They are ideal for plant stakes, grave markers and memorial tree stakes. 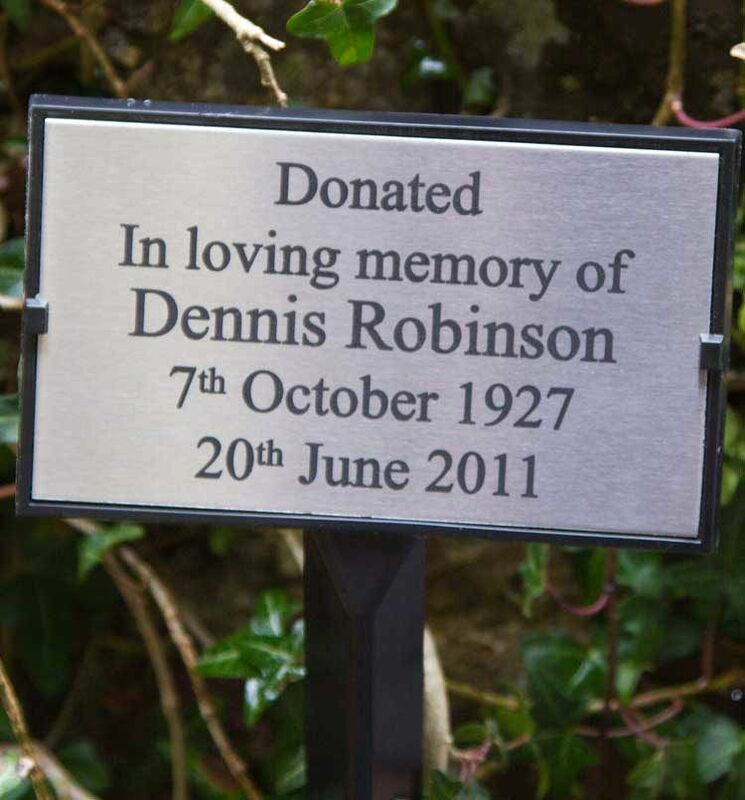 We can include images and decorative borders on the plaques.